The Huskies (13-4, 4-0) have won six in a row while the Golden Bears (5-12, 0-5) have lost six straight. Records: UW (13-4, 4-0): Cal (5-12, 0-5). 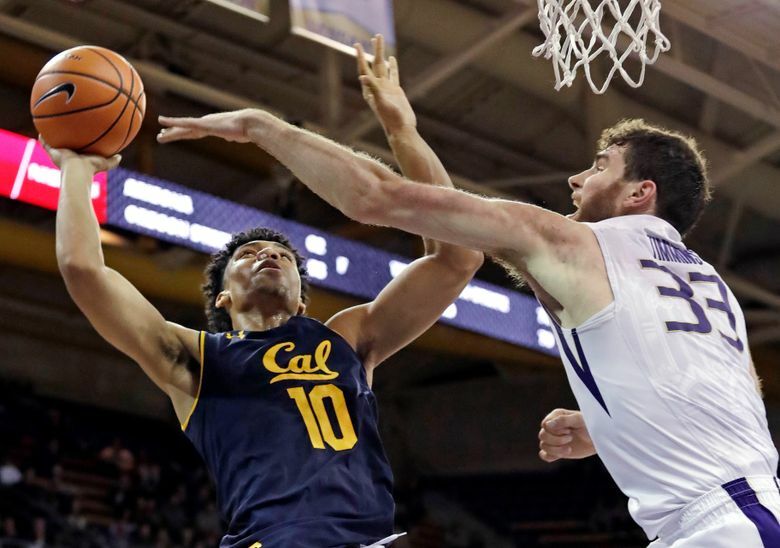 Scouting report: Washington beat Stanford 80-64 on Thursday for its sixth straight win and its ninth consecutive victory at Alaska Airlines Arena. … The Huskies last started 4-0 in the Pac-12 in 2012-13 and hadn’t been 5-0 since 1983-84. … UW has shot 50 percent or better from the field in 3 of its 4 Pac-12 games. … The Huskies are first in the conference allowing an average of 63.5 points to league opponents. … UW has had six different players lead the team in scoring, including Jaylen Nowell (8), Noah Dickerson (5), Nahziah Carter (2), Matisse Thybulle (2), David Crisp (1) and Dominic Green (1). … Thybulle (252) needs six steals to pass former Arizona State star Eddie House (258) for third place on the Pac-12 career steals list. … Thybulle is the only Division I player averaging at least 2.2 blocks and 2.8 steals. … California lost its sixth straight game following an 82-59 defeat on Thursday at Washington State. … During the losing streak, the Golden Bears have been outscored by an average of 15.3 points. Cal opponents are averaging 85.1 points in the six losses. … The Bears’ last win was nearly a month ago. On Dec. 21, Cal beat San Jose State 88-80. Key matchup: In their first matchup last season, Sueing scored a game-high 27 points during Washington’s 66-56 win over Cal at Alaska Airlines Arena. He’s been consistent on the offensive end while putting up double-figure outings in all but one Pac-12 game and is averaging 18.6 points in league play. Sueing’s offensive versatility – he can score inside and on the perimeter – makes him difficult to defend. He’s also a long, rangy defender. Coach: In his first year, coach Wyking Jones led Cal to a historically bad 8-24 record last season, which included a last-place Pac-12 finish at 2-16. It was the most losses in the history of the program. The series: Washington leads 84-80 in a series that began in 1916. … UW swept Cal in a pair of games last season, which snapped a streak of six straight losses to the Bears. Last meeting: Nowell scored 23 points and Dickerson had 16 points and nine rebounds to lead the Huskies to a 68-51 win at Cal on Feb. 24, 2018. The highlight of the game was a spectacular tomahawk dunk from Carter who took off eight feet from the basket and soared over 6-8 Cal forward Cole Welle. UW, which trailed 43-39, outscored Cal 29-8 in the final 16 minutes and held the Bears to just 23.1 percent shooting (6 of 26) in the second half.